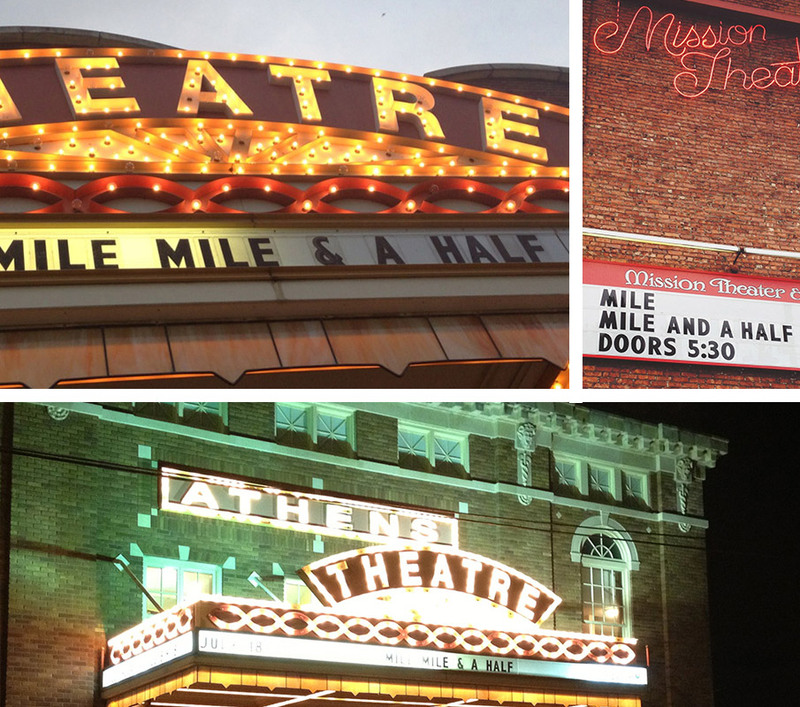 Ready to host a screening of MILE… MILE & A HALF? need to guide you on this journey. We are excited you are joining our team! If want more information about being a Tugg promoter check out Tugg FAQ. We’ve partnered with Tugg.com, which is a web- platform that helps individuals, groups and organizations to set up personalized movie screenings in theaters across the country. The process is simple – you pick the time, place and date, and Tugg will reserve the theater and give you a personalized event page for your MMAAH screening. Here’s the trick though – you need to pre- sell a certain amount of tickets in order for the event to be confirmed! Once your Tugg event page goes live, it’s up to you to spread the word to your community and let folks know the event will only take place if enough tickets – the “threshold” – are reserved before a deadline. Once enough tickets are sold, your event will be confirmed and then you can put out the word to fill the house! If there aren’t enough tickets sold, then no one will be charged for the reservation and the screening will be called off. We’ve created this resource kit to guide you through the process of hosting your screening. Begin with Step One, and follow the step- by- step instructions to maximize your promotional efforts and get the most out of your event! You can pick and choose what you want to do – it not all of it! If you have any questions about Tugg, don’t hesitate to reach out to the Tugg team at support@tugginc.com. And as soon as your event goes live, a MMAAH team member will be in touch with you. PLEASE NOTE: If you are interested in hosting a screening of Mile… Mile & A Half on your own either privately or in a community venue, please contact us for more information and pricing. 1. Getting Started: Setting Up Your Tugg Screening Guide – This guide is an in depth Look at how to best set up your event on Tugg and how to use your event as a fundraiser or as a corporate screening, if you like. Take a look at this guide before filling out your request. 2. To get the ball rolling, you’ll need to fill out an Event Request Form, which you can do here on our Tugg page. Once you’ve received your Tugg event page, it’s time to spread the word and ensure that enough tickets are reserved so you can reach your threshold before the deadline! 1. An Introduction to Promoting Your Screening – Start by reading this guide, which will walk you through how to best reach out to your friends, family, and organizations via email, social media, and traditional outreach. Towards the bottom of this document we have included some facts about the film’s awards, relationships, history, sponsors, etc. This information might help you pitch the film or could inspire you to see another unique angle to make your screening unique. 2. Tugg Tools – The folks at Tugg have created a number of tools to help you maximize your outreach efforts – read this to learn how to message your attendees and track the success of your outreach. STEP THREE: My Event is Confirmed. Now What? 1. Congratulations, your event’s threshold has been reached and you have made it to your first summit! Read through the Preparing For Your Event Guide, which will arm you with all the information you need for the day of the event. 1. The big day and soon you’ll be on the top of Mount Whitney! Make sure you’ve reviewed everything in the Preparing For Your Event Checklist and follow the steps below to ensure a flawless screening. 2. Take a look at our Sample Event Introduction Guide For Your Screening for ideas on what to include during your screening’s pre- and post-show. Now that your event is complete, be sure to follow up with your attendees by sending them a message with the Promoter Messaging tool. 1. Use this Follow Up Message Template to thank your attendees and encourage them to tell their friends about your event and the film! 2. Post a recap of your event on the film’s Facebook and Twitter pages – make sure to include photos and tag @TheMuirProject and @TuggInc, #MMAAH and #[your city name]!